At South Valley Family Dental you are not simply a customer to us but our patient who we want to have an enjoyable and pleasant experience at our dental office. Going to the dentist should be a pleasant experience for you and your whole family. So come see South Valley Family Dental and give your teeth the much needed attention they deserve. 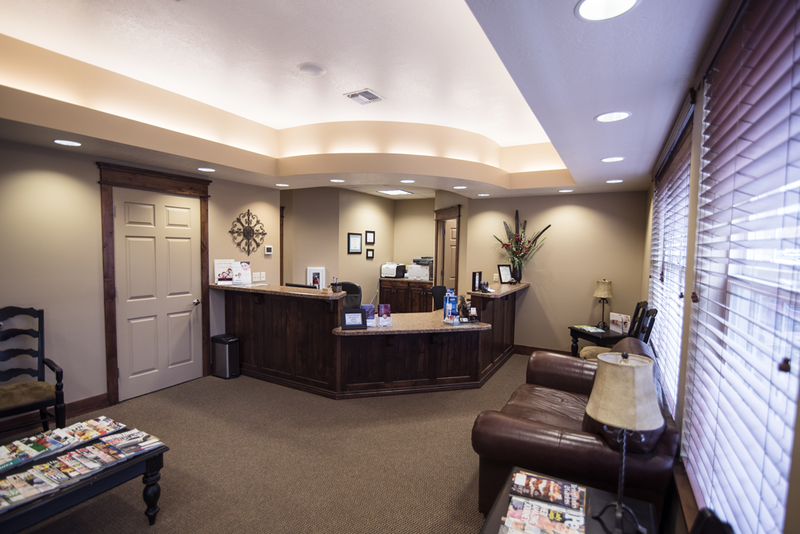 Your health and comfort is our number one priority at South Valley Family Dental. If for whatever reason we feel a procedure would be better performed by a specialist, we will recommend you to doctor equipped to handle your specific needs . Let us help you achieve the smile you've dreamed about. Come see us today at our office or call us at 787-2122 to schedule an appointment. Help the crew of USS Sugar Swatters keep the galaxy free of destructive sugars! No time to pay your bills? It's right here pay your bills online at our secure payment platform. It's important you are in good hands when you have someone working in your mouth and on your teeth. We follow the golden rule, 'One should treat others as one would like others to treat oneself.' You can feel safe knowing we deal with hundreds of patients a month and treat everyone with respect, kindness, and are professional in our work. "Visiting South Valley Family Dental gives my family and me more reasons to smile." "Dr. Johnson provided me with excellent care when I needed it the most." "You know the office has to be amazing when you actually look forward to getting your teeth cleaned. They're all friendly and fantastic." ""I had a fantastic experience with Dr. Johnson. I was embarrassed as it had been awhile since I'd been to a dentist. Dr. Johnson was very kind and my cleaning didn't hurt at all. He was very good with my teenagers. He explained everything and was happy to answer all of my questions. Great staff as well!""